Being an amateur photographer, it’s not easy for a lot of reasons, but one of the troubles we all face at first when we want to choose our first professional camera. Well, there is nothing to be ashamed of as all of the renowned and professional photographers started as an amateur at some point of their life. But there are lot of things we need to consider before we can buy our first camera. Will it be a DSLR, a SLR or a mirror less camera? Choosing your first camera correctly is one of the first decision you will take in your journey towards learning professional photography. DSLR or SLR or MFT? At first let us find out the difference between a DSLR, a SLR and a mirror less camera. When you reach a certain level of quality it is often the lens that matters more than the camera itself. SLR and DSLR are both single lens, allowing you change the lenses as you wish. The core difference between them is that SLR uses traditional film and DSLR is digital. In mirrorless cameras or micro-four- thirds (MFT) cameras there are no mirror mechanism and generally it looks like general point and shoot cameras. But as you are going to be a professional photographer let’s focus on DSLR cameras. After you decide the type of your camera the question that pops up in your mind is the brand. Well, brand is important but not the way you think it is. While choosing the brand first consider the quality of the product and the lens and other accessories available for modification. We assume that you are going to be in this business in future, so it’s better to choose a camera with which you can work even in future. For an example if you are going for wild life photography you should look for brands with compatible telephoto lens. So in that case Nikon and Canon will work best. When you take a digital photograph, light enters through the lens, then hits the sensor—it’s that sensor that records the image. Sensors come in all different sizes. But as a photographer you will want cameras with bigger sensor size as it allows more light and ensures better picture quality. Even in a low light situation a camera with bigger sensor size will work better. When it comes to DSLR, there’s two options for sensor sizes. APS-C is the smaller type, and the option that’s typically best for entry-level photographers. An APS-C sensor is usually plenty for new photographers to work with, and they’re often found on cameras that are easy to use and much more affordable. A full frame or 35mm sensor is a bit larger—these cameras are usually considered professional DSLRs. They offer more resolution, but also a much higher price tag. So for your first camera go for an APS-C sensor. Now let’s talk about megapixels. People are generally biased about megapixels. People have a wrong idea that more megapixels ensure better picture quality. Well, actually more megapixels ensure more resolution. And more resolution means bigger file size and for that you will need a lots of storage place. And with more megapixel it will be more prone to noise at high ISO. So right now don’t think too much about mega pixels. can you click in one second (fps). Shutter speed tells us how long shutter stays open while capturing a picture. A DSLR with 5 fps burst speed is good enough for beginners where 10 fps burst speed will be so good for a DSLR camera. 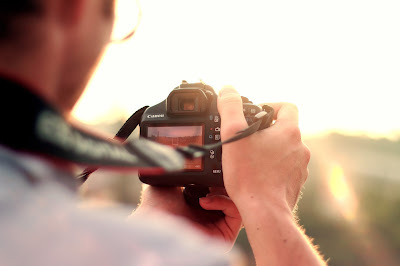 Normal DSLR’s generally have a shutter speed of 1/4000or 1/8000. But for your first camera think about your budget too. And choose the camera as per your need. If you are going to shoot sports photograph go for a camera with more burst speed. So keep in mind the above points before choosing. Here we have a list of cameras you should consider while buying your first camera. Buy any one of them that serves your need.